Your boot fix since '56! 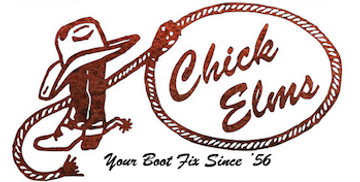 As one of the leading western stores and rodeo shops in Texas, Chick Elms offers a large selection of western-style boots. We carry country-favorite items and top-rated brands to accent any cowgirl or cowboy’s style. Whether you’re looking for a pair of men’s or women’s rodeo boots for work, everyday wear or special occasions, we have hundreds of styles in several classic colors and materials—you’ll make a statement wherever you go. Best of all, all of our cowboy boots are built to last for years to come, so you can feel confident your purchase is nothing less than exceptional quality. If you’re looking for the best in western-style boots, Chick Elms Grand Entry is your go-to destination. Browse our wide selection of men’s and women’s western-style rodeo boots below!